Choosing a new vehicle can be an exciting experience. However, it’s easy to get swept up in that new car smell and all the sophisticated features, so here at Cooper Motor Company, we want you to be informed. Knowing the do’s and don’ts of buying a new car will prepare you for your next purchase. Keep reading for more tips on avoiding common mistakes to ensure that you choose the best car for your lifestyle. To find the ideal vehicle for you, first choose the type of car that fits your lifestyle; whether a convertible, minivan, sedan, coupe, compact car, etc. When you choose your vehicle type, write out a list of the most important features that you want. Research a variety of makes and models to make sure that you will have all the amenities and features that you’re looking for. The most difficult part of buying a vehicle is deciding on a budget. You may have found the perfect vehicle for you, but finding one that fits your budget can be harder. 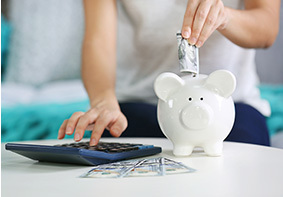 When purchasing a new vehicle, plan to put about 20 percent down, limit the term to no more than 60 months and keep your monthly payment below 10 percent of your income. In addition, don’t forget to factor in the cost of maintenance. Depending on the car, some cost more than others. Negative equity can be a challenge. The balance of your old loan may be combined with the new car's loan amount, meaning you could potentially pay the debt of two cars in a single, big loan. Prepare by researching your possible trade worth. When test-driving a new vehicle, take plenty of time to make certain you actually enjoy the car instead of getting distracted by the new-car experience. Test out the various features, inspect the interior and don’t forget to ask lots of questions. Make sure the car has enough space for all your needs. 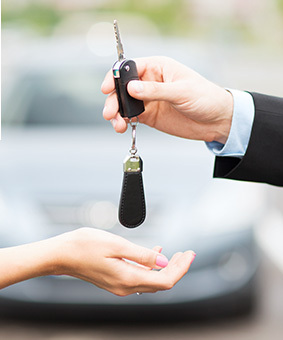 Planning on buying or leasing a new vehicle? We’re here to help. Stop by Cooper Motor Company located at 305 E Main St., Clinton, SC 29325. As always, we look forward to serving our customers from Clinton, SC, and throughout Laurens & Fountain Inn.